There are 83 copies of the First Folio in a vault beneath Capitol Hill, the world's largest collection. Well over 150 Indian movies are based on Shakespeare's plays-more than in any other nation. If current trends continue, there will soon be more high school students reading The Merchant of Venice in Mandarin Chinese than in early-modern English. Why did this happen, and how? Ranging ambitiously across four continents and 400 years, Worlds Elsewhere is an eye-opening account of how Shakespeare went global. Seizing inspiration from the playwright's own fascination with travel, foreignness, and distant worlds, Dickson takes us on an extraordinary journey-from Hamlet performed by English actors tramping through Poland in the early 1600s to twenty-first-century Shanghai, where Shashibiya survived Mao's Cultural Revolution to become an honored Chinese author. 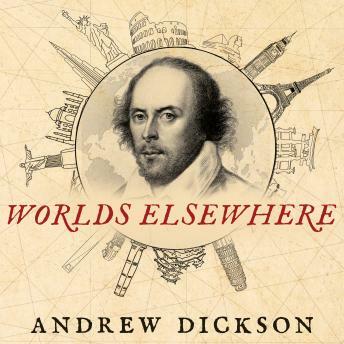 Both a cultural history and a literary travelogue, the first of its kind, Worlds Elsewhere explores how Shakespeare became the world's writer, and how his works have changed beyond all recognition during the journey.